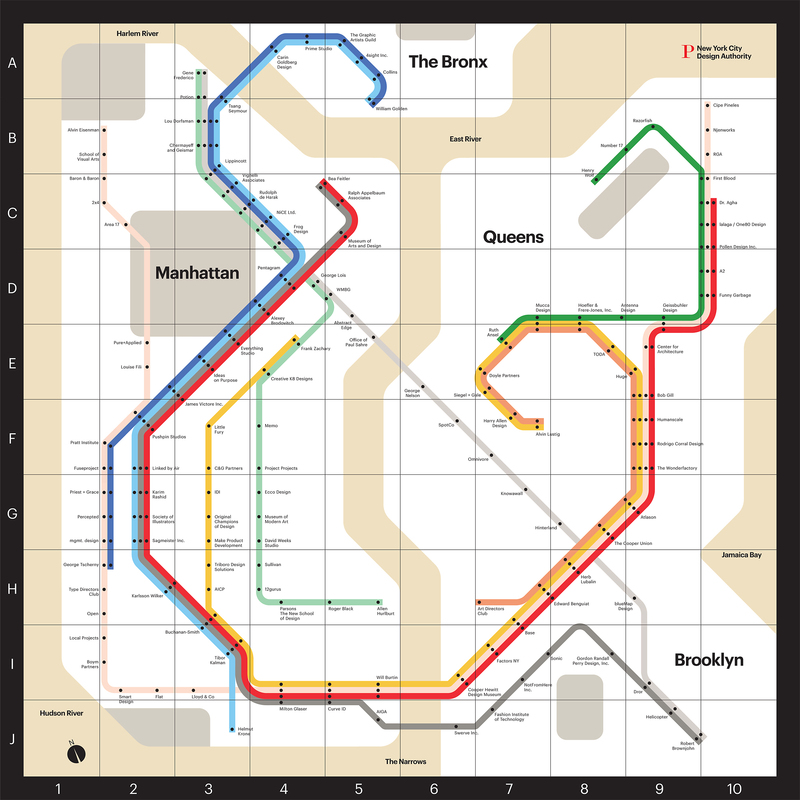 Pentagram’s Luke Hayman riffs off of Massimo Vignelli’s iconic subway map to create a chart of key figures in New York’s design network, both past and present. Pentagram partner Luke Hayman has designed a clever little guide to New York designers. Done up like Massimo Vignelli’s iconic NYC subway map, it assigns “subway stops” to key figures in the city’s design network, both past and present, from Sagmeister Inc. to the late ad-industry pioneer Helmut Krone to, yes, Pentagram itself, which, incidentally is just four stops away from Vignelli on the blue line, heading toward William Golden.